Brewing Technology Handbook from C.H.I.P.S. 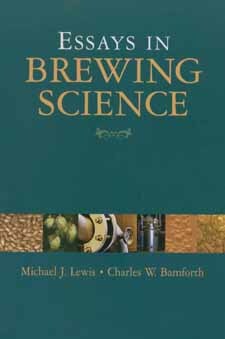 Essays in Brewing Science is an original and comprehensive examination of brewing from the perspective of a real brewer. The book departs from the traditional sequential approach to pursue brewing in the manner a brew master approaches the process. It is structured to look down the length of the process for causes and effects. Each essay discusses a problem, a beer component, or a flavor, by following how this one item arises and how it changes along the way. This is a crucial feature to bear in mind when using this book because this organization brings together information and ideas that are not usually presented side-by-side.